The ambitious editor has successfully led the Sunday newspaper to industry acclaim with its agenda-setting and divisive journalism. Geordie Greig talks to Arif Durrani. There is something rather quaint about having a certified toff controlling the UK’s biggest mid-market Sunday tabloid. Who better to help Middle England navigate its fragile societal constructs and calibrate its moral compass than an Old Etonian, Oxford graduate and friend to the royals? In much the same way research reveals that passengers feel safer when a male pilot with "posh" received pronunciation is flying the plane, it taps into a peculiar sensibility of the British. A throwback to the old class system, no doubt – but, when it comes to plotting the direction of The Mail on Sunday, Geordie Greig, its editor, has proved his worth. Voted Sunday Newspaper of the Year for an unprecedented third time in a row by the London Press Club, the paper is flying high. Since Greig’s arrival in March 2012, circulation has held up relatively well too – down 20 per cent to 1,434,018 copies. This is despite its coverprice rising by 10p earlier this year to £1.50. Only The Sunday Times and The Sunday Telegraph have been as resilient. During the same period, News UK’s £1 Sun on Sunday, with which Greig is now in a very public dogfight to be overall market leader, lost 36 per cent of its circulation to 1,466,439. Similarly, The Mail on Sunday’s mid-market competitor, the Sunday Express, dropped 29 per cent to 376,509. Its red-top rival the Sunday Mirror declined 25 per cent to average a circulation of 815,766 in June. For Greig and his team of 200 journalists, the direction of travel is clear. He is hopeful of ending 2015 as the clear newsstand leader on any given Sunday. "It’s a pretty dramatic moment for the paper and a credit to the incredible journalists on the team," he says. "If you think, in 1982 [when The Mail on Sunday launched], we were eighth in the market and News of the World was selling north of 4.5 million copies." A former editor of the high-society bible Tatler, Greig is in no doubt that his current title’s journalism already makes it the "dominant force on a Sunday". "We invest in journalism," he says. "We travel to places, we invest in investigations, we are long-term in what we look at. "That sense of trying to produce stories that change the agenda, which alter people’s perception and shine a light in places where the powerful don’t want it shone – it’s classic Sunday journalism, and it’s exciting and diverting. "We hope we are owning that ground of very striking front-page stories, from the 62p an hour [‘This is what a feminist looks like’] T-shirts to Thomas Cook [over its handling of the Corfu carbon monoxide poisoning tragedy] to Paul Flowers the Crystal Methodist. All those stories go into the conversation of pubs up and down Britain." For better or worse, The Mail on Sunday, with its relatively affluent readership at an average age of 53, is one of the few titles to have a discernible impact on so many aspects of modern life, according to MEC’s press specialist Rob Lynam. Lynam is among those who believe the Mail stable, broader than any tabloid and sharper than most quality press, is the one Westminster pays the most attention to. Politicians have to take notice, Greig says, citing the queues of people he has seen waiting to pick up a copy when boarding an easyJet or Ryanair flight. As amusing as it is to imagine Greig taking a Ryanair flight anywhere, his observation, nevertheless, rings true. "You have that mass of people going on their breaks, ordinary people with extraordinary lives," he says, "that’s what we try to hit." Let’s not forget it was The Mail on Sunday that so successfully helped demolish Ed Miliband’s hopes of becoming our next prime minister. The paper’s serialisation of the memoir of Martin Winter, the former mayor of Doncaster, at the start of the year set the tone for a per­sonal, scathing onslaught on the "accident-prone" Labour leader that came to define his election campaign. Under Greig's editorship the Sunday paper delivered a series of damning articles right up until the election on 7 May. 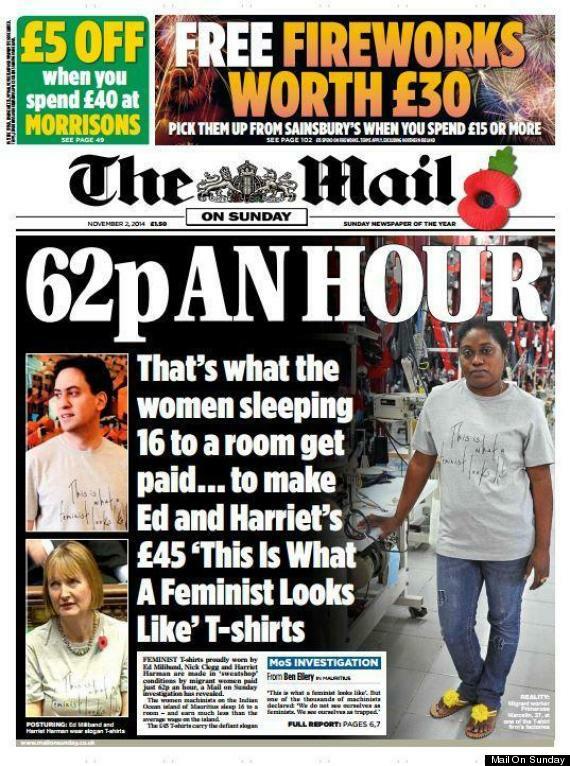 Its scoop about how the feminist T-shirts worn by Miliband and Harriet Harman had been made in Mauritius by migrant female workers on 62p an hour provided another damaging body blow. Greig recalls with pride: "[Miliband] is still challenging our political editor about that story, post-election. Some stories hit their target." It’s a loaded statement that provides the first real insight into the steely resolve behind Greig’s polished demeanour. So the Labour leader was clearly a target? There’s a half-hearted attempt to reconcile his comment with talk about how "everyone thinks they’re a target when written about" before he drops the pretence. "We’re a right-of-centre paper – we wanted a Con­servative prime minister to remain at No10, obviously," Greig says. "We’re not the BBC so we are untroubled in what we do. "The terrific thing about working for this company is that they give the editors completely free rein to pursue what they think is the best form of journalism, with a sense of purpose and surprises, and going for those old-fashioned scoops." The BBC is another favoured target, regularly rounded on for being bloated and too liberal. Does Greig think it should stop being funded by the public? "I’ve a great fondness for many things the BBC provides," he replies. "But if I were in charge, would I see there was room for cuts? Of course I would. But the BBC should be publicly funded." 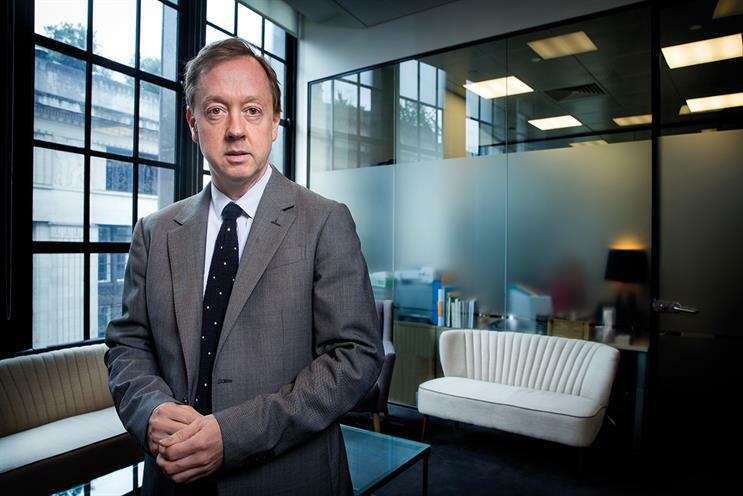 There were plenty of raised eyebrows when Greig was parachuted into his first major newspaper role as the editor of the London Evening Standard in 2009. He had been the one to suggest to Evgeny Lebedev that he bought the ailing London paper with his father, Alexander, during an exhibition of photographs of early Russian Chekhov productions. Many believe he secured his ascent to the editor’s chair at the same time. Regardless of how he got there, he soon won the respect of the editorial team with his drive and enviable contacts. One of his first moves was to apologise for the "negative, doom-laden" tone the paper had adopted in recent years, claiming in a "sorry" campaign that it had lost touch with the optimism inherent in Londoners. It was a move that infuriated his predecessor, Veronica Wadley, but was celebrated as a strong, independent stance against the title’s previous owner, Daily Mail and General Trust, and helped kick-start a revitalised Standard. "He understood the importance of having light along with the dark when it comes to journalism," a Standard writer recalls. Greig also won plaudits for his campaigning agenda, not least its ongoing Dispossessed Fund, which smashed its initial £1 million target to raise more than £6 million in the first year. Greig has managed to impress throughout his career. Nicholas Coleridge, his former boss at Tatler’s owner, Condé Nast, says: "Geordie is alert,mischievous, courteous, perfectly mannered, with a deadly eye for the main chance. Incredibly well-networked, he is also loyal and trustworthy. He is 50 per cent courtier, 50 per cent old-school hack – and equally adept in both roles." One thing Greig is not credited with is digital prowess. He is not on Facebook and has only sent one (rather existential) Tweet in his life, "I" – an accident he blames on his kids. He makes the classic, tell-tale mistake of confusing the unique browsers provided by the Audit Bureau of Circulations with actual people - more than 220 million, don't you know. But then, as the editor of a weekly print title that leaves all its online operations to MailOnline’s Martin Clarke, he is in the most unusual position of having no remit beyond the paper. There's no need to think about SEO-friendly headlines, or how splashes will appear on the website, let alone how they are then amplified through social. If Greig feels limited by his ink on paper job, he does not show it, assuring that he "implicitly trusts" Clarke, who has done "the most stunning job". "He takes our material, as well as other material, and he gives it reach beyond the dreams of most other newspapers," he says. "We reach 53 per cent of the UK adult population between The Mail on Sunday and MailOnline – a total of 27 million people. That’s an extraordinary statistic. "When we’re buying serialisations, or people come to us and want their story told widely, if it goes on to the closed site of The Sunday Times, a very restricted amount of people see it. We’ve shown the incredible power of having such a brilliant website." MailOnline, of course, is an undisputed global phenomenon. As the world's largest English-language news site, its reach is second to none. Increasingly it is vital to the financial future of the publishing group behind The Mail on Sunday too. Reflecting the battles in the wider market, the paper’s advertising has halved in the past five years to £32 million, at least according to Nielsen estimates. The coffers have been boosted by its You magazine, which attracts fashion and beauty brands, while Event unlocks some lifestyle and entertainment spend. But double-digit declines in ad revenues continue, with Nielsen tracking a 21 per cent fall this year to date. The short Sunday trading hours have always deterred spend from newspapers’ biggest advertisers - retailers – while that from the automotive sector never fully returned after the downturn in 2008. Campaign estimates that The Mail on Sunday’s copy sales and ad revenues generated about £120 million last year, compared with £62 million from MailOnline. Fortunately, Greig is said to be commercially minded, with Dominic Williams, the chief trading officer at Dentsu Aegis Network, among those who have got to know him in recent years. While admitting he might not field him for intimate talks with a tough northern retailer, he praises Greig’s client-friendly approach. Williams says: "It’s actually refreshing to have an editor so passionate about a print brand, focused on how it breaks agenda-setting stories rather than talking social media stats." Going forward, agencies can expect to see more of Greig, as Mail Newspapers’ ad director, Rosemary Gorman, reveals a series of upcoming events. But what of his own future ambitions? Campaign understands that, owing to health concerns, much of the respon­sibility of the Daily Mail’s 66-year-old editor-in-chief, Paul Dacre, is currently being shouldered by the paper’s number two, Jon Steafel. Speaking in his third-floor corner office in Northcliffe House, surrounded by Gilbert & George artwork and a David Hockney installation, Greig bats away any suggestion that he has entertained his next move, either within the group or beyond. "I’m very lucky – I’ve always enjoyed the job that I’m doing," he says. "I always concentrate completely and fully on what it is I’m doing. I am always very wary of saying I want to get to a particular destination." He adds: "Paul Dacre is an incredible editor." Outside of work, he has just sold the film rights to his book on Lucian Freud to Harvey Weinstein. A reminder, if any were needed, of the rarefied air this mid-market tabloid pilot truly enjoys.